So this is definitely exciting stuff. Well, to me, anyway. 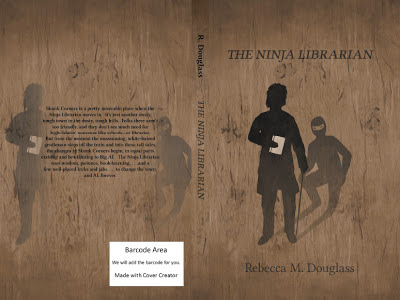 As part of the preparation and marketing for the sequel to The Ninja Librarian (that would be Return to Skunk Corners, coming in August), I have a new cover and format for the original NL. As soon as I've had a chance to review the proof, it'll be available, as a "Second Edition," since that's the way CreateSpace works when you change the trim size. It's already on Smashwords, and if you own a copy, you can download the new one free (though the only thing that's changed is the cover, and one tiny typo I finally removed). Wait until you see the cover for Return to Skunk Corners! I accidentally scheduled two posts for the same day. I've pulled one, just to keep things a little more manageable. So if you got a notice and now you can't find it, Men at Arms will be up on Wednesday. Apropos of a Goodreads.com discussion of orphans in children's books, I decided to take a look back at a couple of my favorite books from childhood. These are books that I read and re-read dozens of times, so they clearly had something that worked for me. On re-reading as an adult, I still have that feeling for them, but one of the stories stands up to a more thoughtful perusal, and one doesn't (even if I do still love it). I was going to say it may be no coincidence that both these books are old, but, well, yeah, it's no coincidence, because they were old enough to be on the shelves of the library when I was a kid. DUH they're old! First, the one that doesn't hold up so well. Publisher: Joan Keil Enterprises (this is a reprint, brought out by MacDonald's daughter in the 80's when the original had fallen out of print, which I tracked down on line). Original copyright: 1952. I see from Goodreads that the book has been reprinted several times, and is available in several languages. Nonetheless, it has never shared the popularity of MacDonald's other children's books, the Mrs. Piggle-Wiggle stories (which, to be perfectly frank, even as a child I found hopelessly preachy and annoying). Betty MacDonald, for the record, is the author of the memoirs The Egg and I and Onions in the Stew, which was also made into a play and is, or at least once was, often done by high school drama clubs (including, inevitably, ours: the story is set in my home town, where MacDonald's daughters went to high school with my mother). Brief Summary: Nancy and Pamela (Plum) Remson are orphans, dumped at Mrs. Monday's Boarding Home for Children by their only relative, a bachelor with no interest in children. Mrs. Monday is greedy, cruel, and generally nasty, and her "home" is a place where children get lousy food and hard work, reminiscent of Oliver Twist. Two-thirds of the book recounts the girls' travails through a miserable Christmas when they are left alone at the boarding house, their efforts to make a doll for a fellow-boarder, to go on a real picnic, and to maintain their sense of self-worth in the face of Mrs. Monday's cruelty and the nasty tattling of her niece, Marybelle. The last part of the book tells how they run away when the last straw is reached, and how they come to find a good and loving home (I don't consider this a spoiler because it is an inevitable feature of the genre). Bookended by two very different Christmases, this works very well as a holiday story. Review: Well, I still love the book. I can't help it. But it really is not a very good book. The situations are stereotypical, the characters are caricatures, and the story arc is very well-established (like Oliver Twist, they even end up being returned to captivity and treated worse than ever, before they achieve final freedom). There is also a strong element of the preaching that makes Mrs. Piggle-Wiggle unreadable (to me), a sense that she's working too hard to make a point or instill a moral. So why do I still like it? For one thing, it's a comforting story. The little girls never lose that spark that makes them more than victims, and the certainty that the evil oppressor will get her come-uppance is reassuring. As a kid, I'm pretty sure I also liked the smart-alec comebacks that Plum pulls off. The second book has aged better. The Lion's Paw by Robb White. Published by Doubleday in 1950, so it's from a similar era. I picked this one up at a library book sale, I think. It is in any case an old library copy. Brief Summary: Twelve-year-old Penny and her nine-year-old brother Nick live at an orphanage--an "Eganapro" as they call it, from reading the sign over the gate in reverse. It's not an awful place, but it's an institution and they don't fit well. They long to sail away on one of the boats they can see in the distant harbor, if they can't have a real home. One day Nick just reaches the end of his rope, and declares he will go with a woman who wants to adopt him as a chore boy, then run away from her. Penny convinces him to come back and get her, and their adventures begin. They end up aboard a sailboat with 15-year-old Ben Sturges, all on the run from the orphanage and Ben's Uncle Pete. Set in Florida during WWII, the adventure is mild, but still exciting, as they dodge all their pursuers, encounter an alligator, and try to make a final escape during a dramatic storm, all the while hoping that if they just find one particular seashell, the Lion's Paw of the title, Ben's father will return from the war and all will be well. 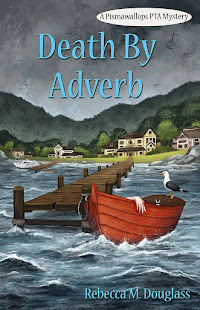 Review: As I say, this story seems to hold up better. 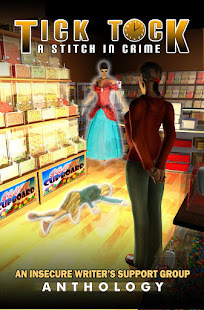 None of the characters is overdrawn--the adults are human, and trying in general to do what's right by the kids (or in a few cases, to earn the reward for finding them), rather than wantonly cruel and evil. The sailing adventure is just exciting enough, and the happy ending isn't completely obvious, though we are pretty sure how it will work out. And White leaves out any preaching. He's spinning a story for kids, not bringing up kids, and tells it as it seems to the kids, largely through the eyes of Penny. As usual in books of this sort, the children have skills and abilities beyond their years (way beyond my kids at similar ages, and more than I had--and I was pretty independent). That's a problem for the suspension of disbelief, but necessary for stories like this to work. And there's only the tiniest bit of saccharine, mostly just at the end. It occurs to me, looking over my book shelves, that there's another book in this category that I loved to bits as a kid: The Flight of the Doves. I'll have to do a review of that one soon! Full Disclosure: I purchased these copies of Nancy and Plum and The Lion's Paw myself and received nothing whatsoever from the authors or publishers in exchange for my honest review. The opinions expressed in this review are my own and no one else's.